Today’s recipe is ‘ Seviyan Zarda‘. 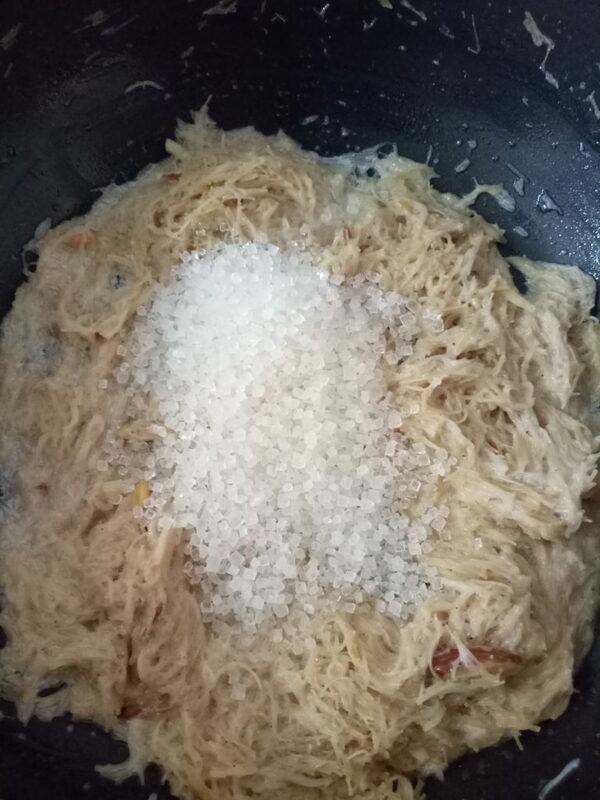 It is a very popular dessert recipe in which whole wheat vermicelli is cooked with ghee, milk, sugar and dry fruits. 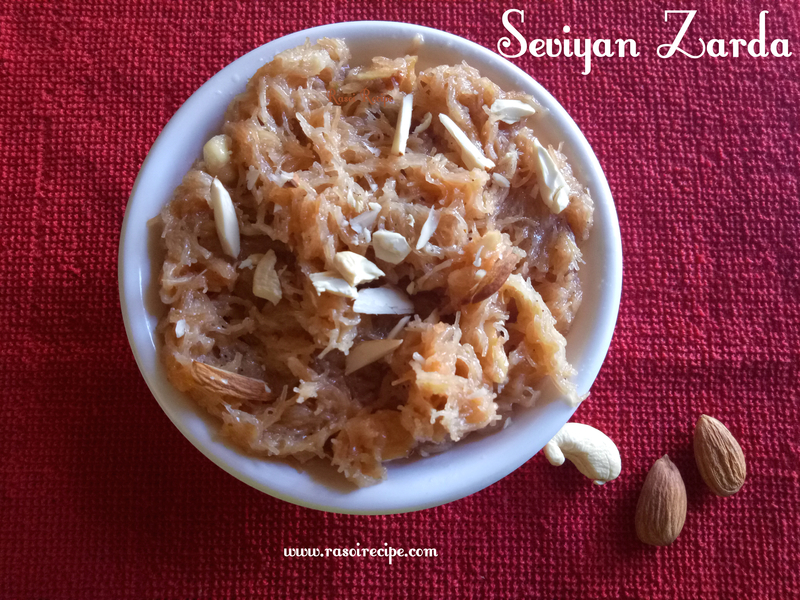 Seviyan zarda is a quick and easy sweet recipe which is also served during festive and special occasions. 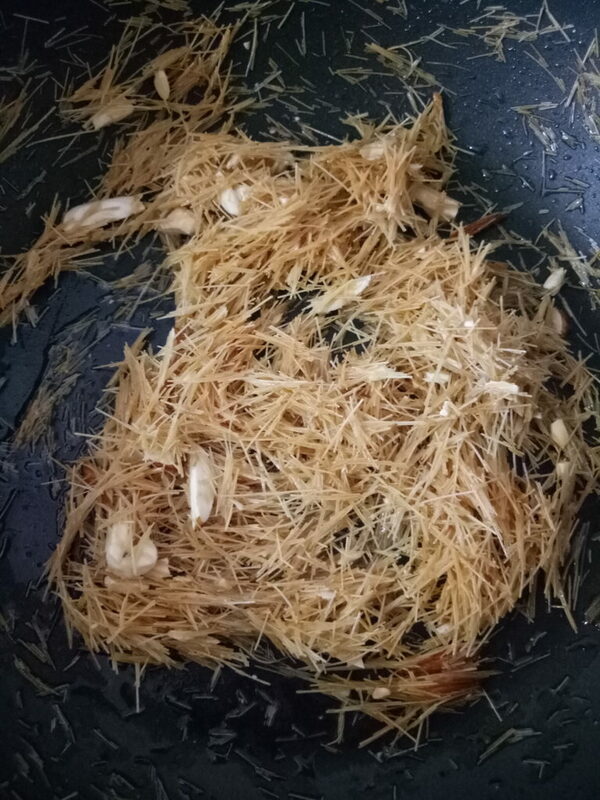 My recipe is simple and easy to prepare, but you can always prepare it as rich as you want by adding all varieties of dry fruits, saffron and khoya in this basic recipe. 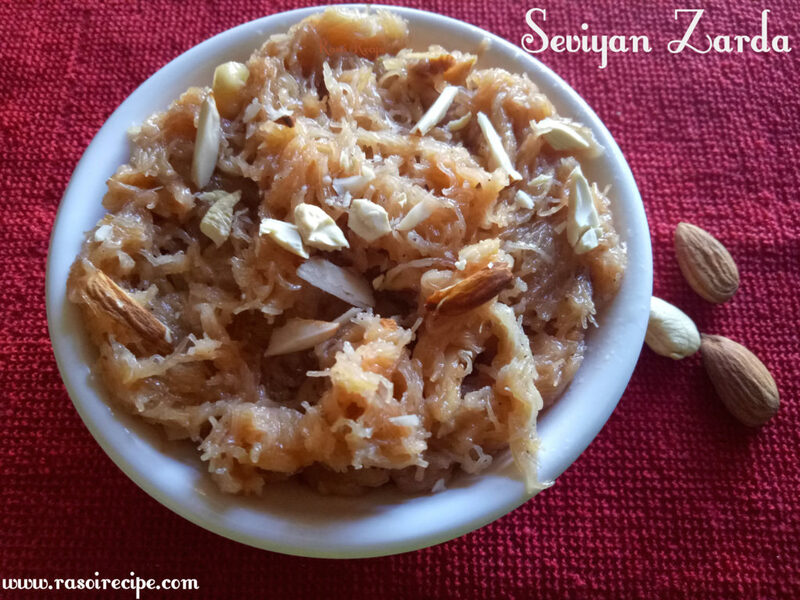 For seviyan zarda recipe, you will need – seviyan/whole wheat vermicelli, ghee, milk, dry fruits, sugar, and cardamom powder. 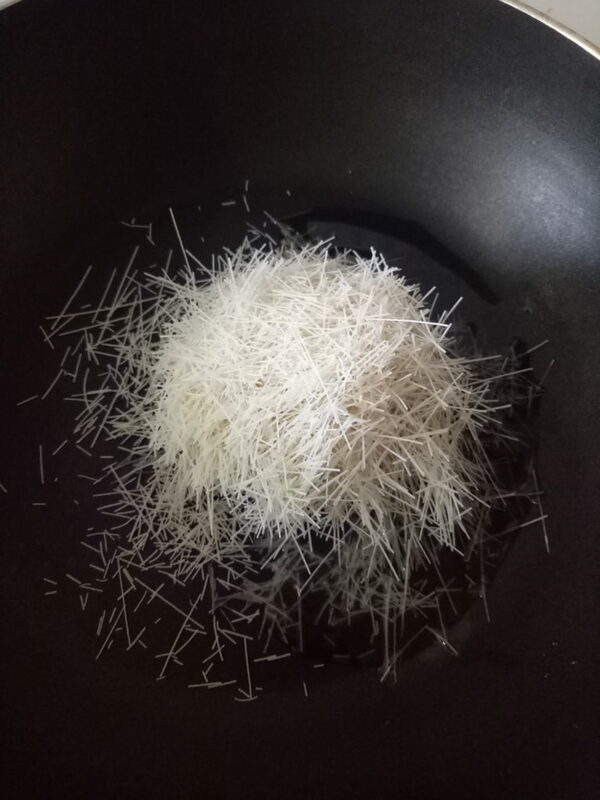 I am using non-roasted seviyan for my recipe, to reduce the roasting time of seviyan you can use roasted ones. 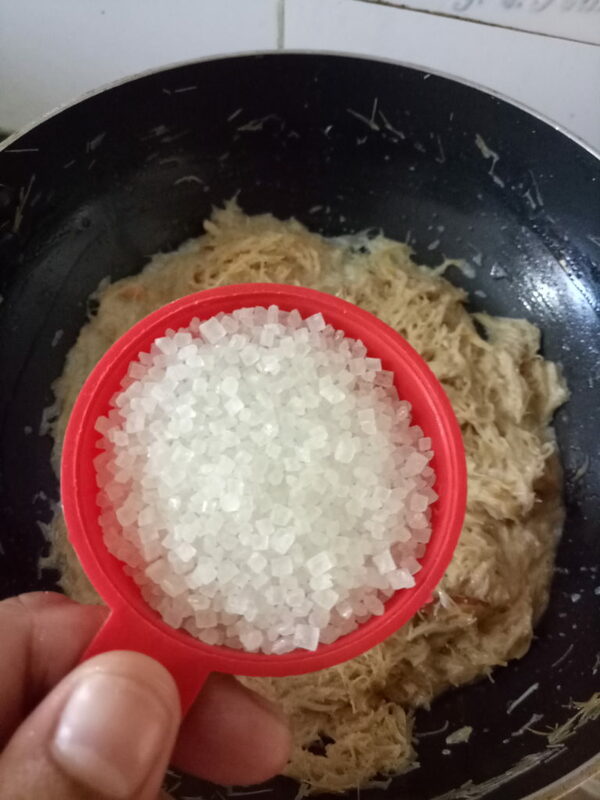 Before starting the recipe, break seviyan into two equal parts. 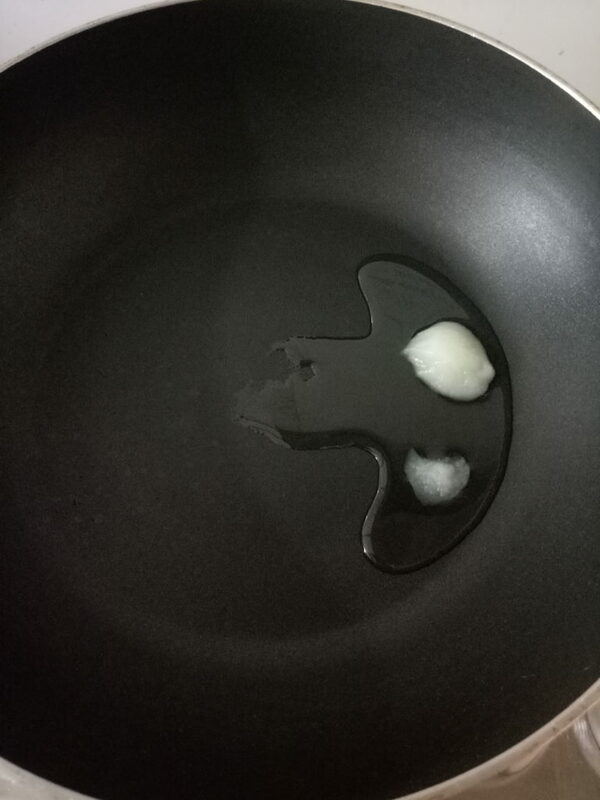 In a deep pan. 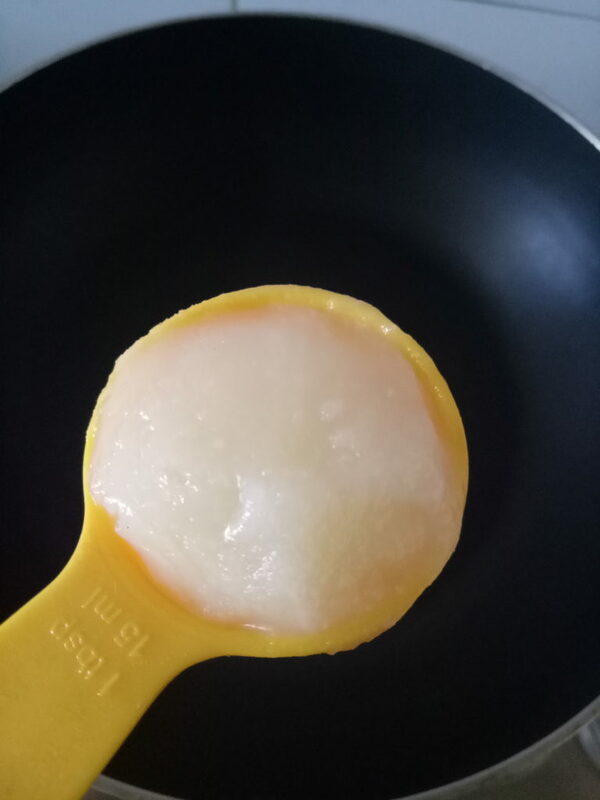 Heat ghee. 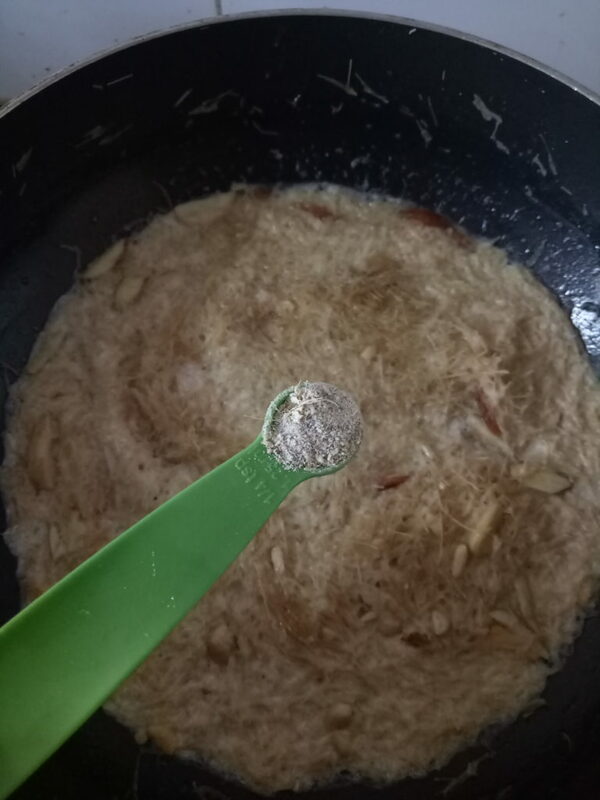 When ghee melts, add seviyan in the pan. Roast for few seconds. 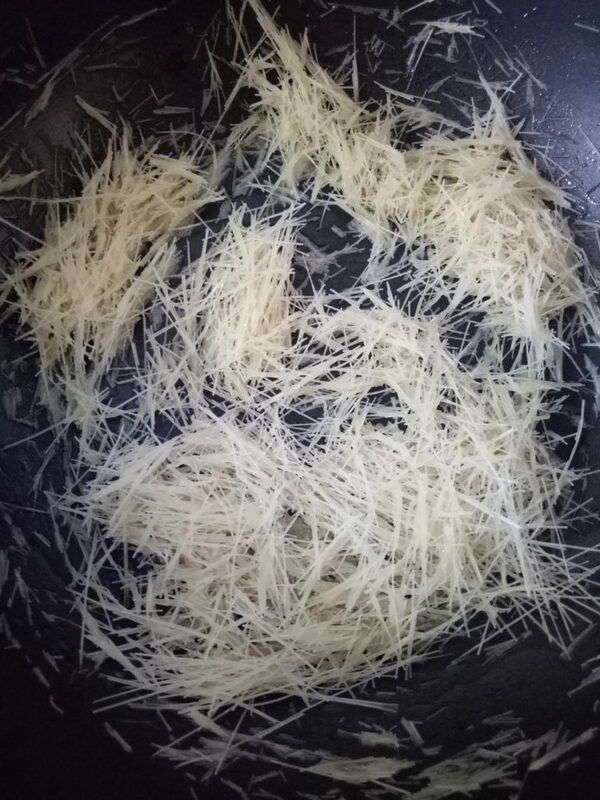 Add chopped dry fruits and roast along with seviyan till seviyan are golden brown in colour. 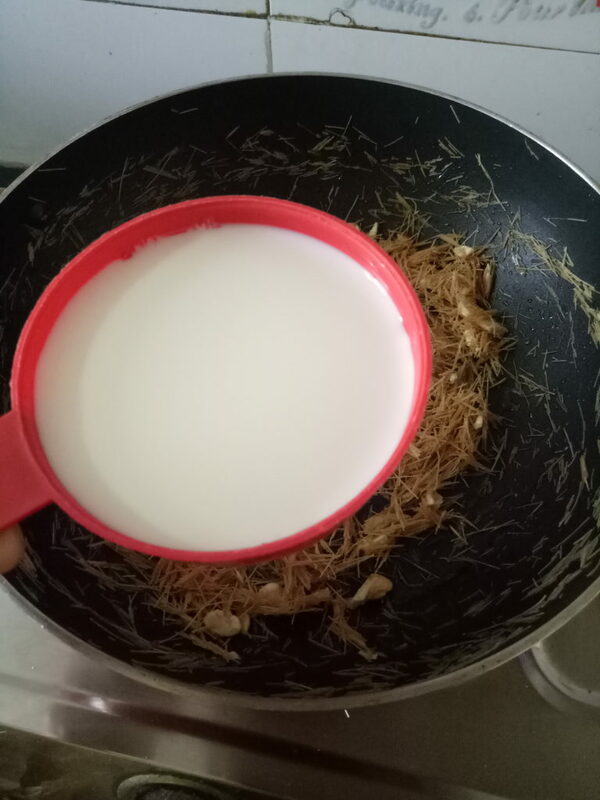 When seviyan is perfectly roasted, add milk to the pan. 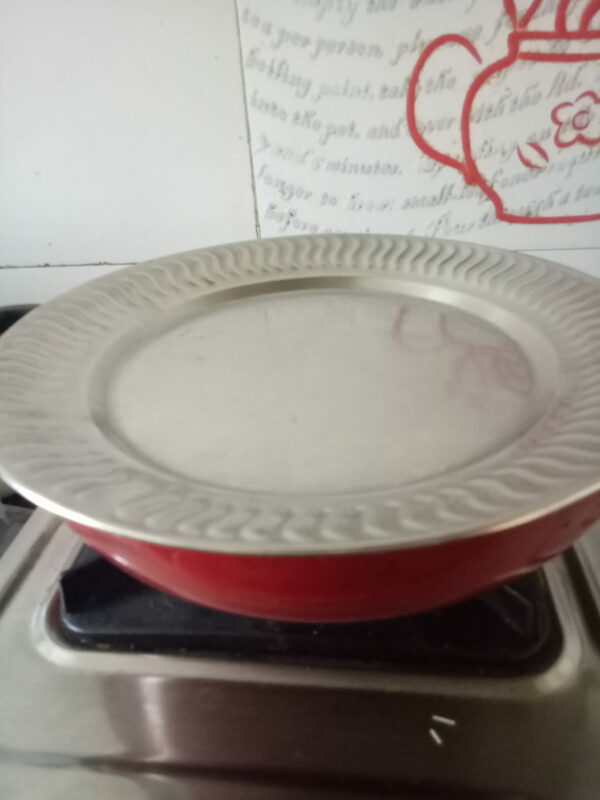 Cover for few minutes and cook on medium flame. 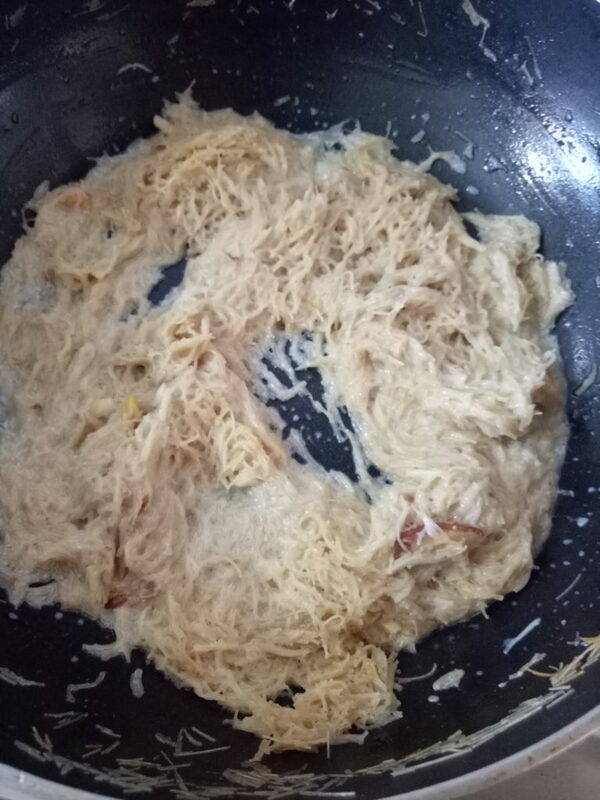 Remove the lid after 3-4 mins and add cardamom powder. Mix well. 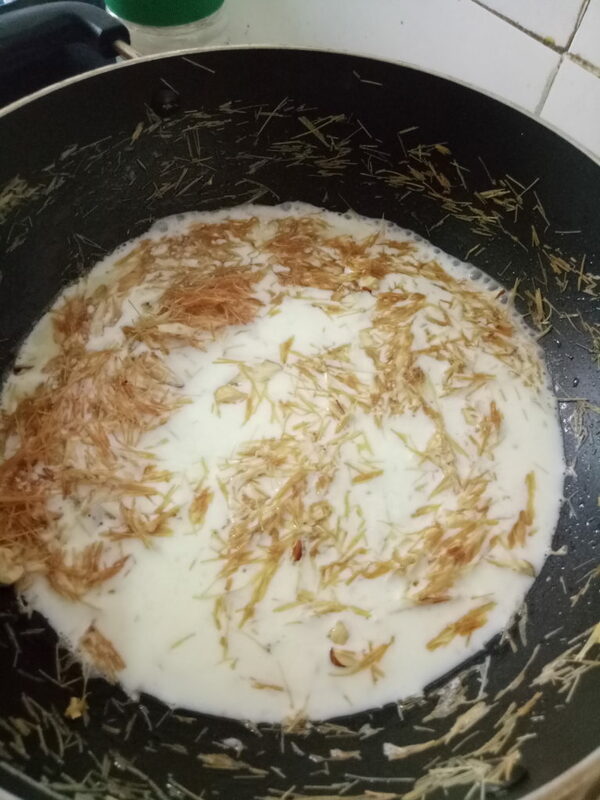 When the seviyan absorbs all milk, add sugar and edible orange colour (optional). Mix well. 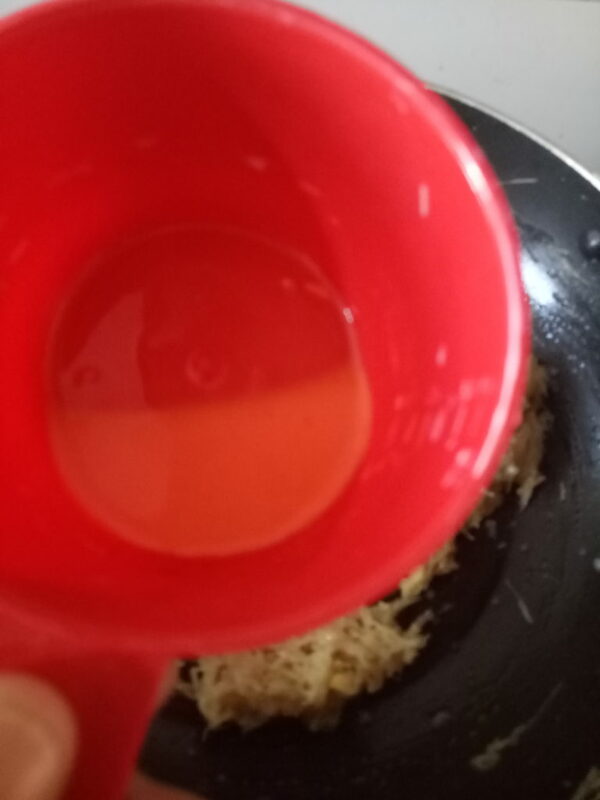 Cook until sugar dissolves and seviyan starts releasing ghee. 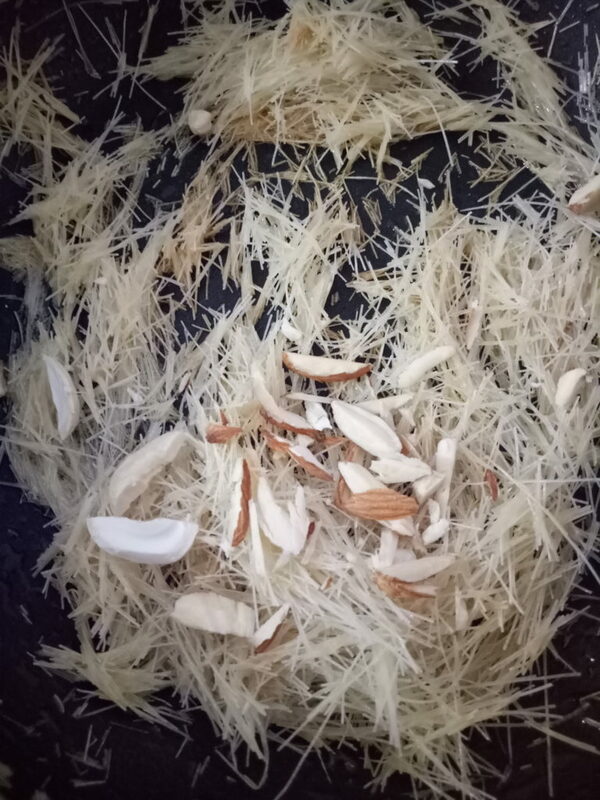 Garnish with chopped dry fruits and serve hot! I’ve never tried this. 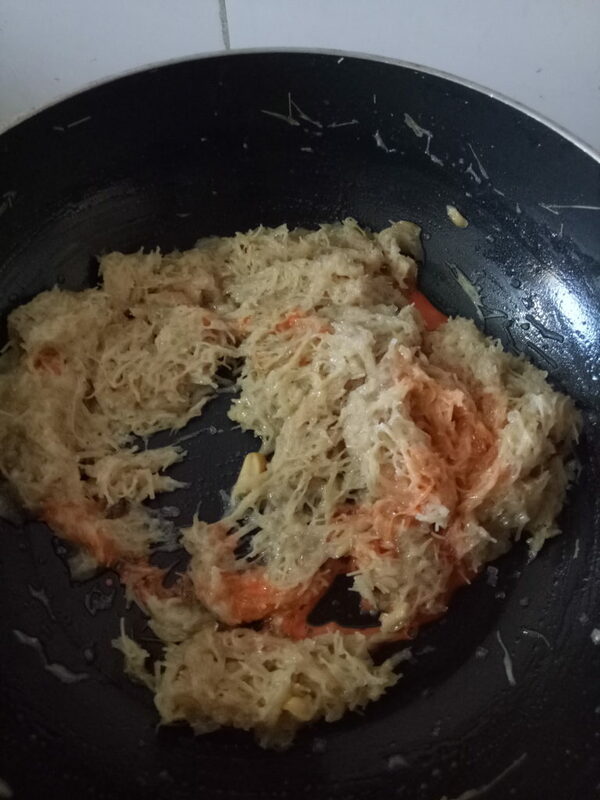 It looks super yummy.